The New Apostolic Reformation (NAR) cult worships one of the four distinctively unique and separate Jesus recorded in the New Testament. The Jesus of the NAR as preached by C. Peter Wagner, Rick Perry, and other Dominionists is (1) a warrior, (2) psychopathically violent, (3) an anarchist, and (4) anti-family. Whether or not these four characteristics are found in one Jesus or are references to four different “men” who are given the name of Jesus is speculation. The NAR and its evangelical extremists Jesus is not a man of peace. Instead, Christian terrorists see this Jesus as being in the forefront of a celestial army that will bring universal death and destruction in an Armageddon (Revelation/Apocalypse 6:4: Then another horse came out, a fiery red one. Its rider was given power to take peace from the earth and to make men slay each other. To him was given a large sword [NIV]: καὶ ἐξῆλθεν ἄλλος ἵππος πυρρός, καὶ τῷ καθημένῳ ἐπ’ αὐτὸν ἐδόθη αὐτῷ λαβεῖν τὴν εἰρήνην ἐκ τῆς γῆς καὶ ἵνα ἀλλήλους σφάξουσιν καὶ ἐδόθη αὐτῷ μάχαιρα μεγάλη). It was/is to be a final battle that most of the world’s religions have speculated on thousands of years before the New Testament was even considered or written down (the first gospel, of John, not appearing until the second century. one who would change “water into wine” and initiate others into “dark secret mysteries” a part of the Ogoistais Egyptian theology. The changing of water into wine, as detailed in John, is not so much a historical event (it is not mentioned elsewhere), but an attempt to show Jesus to be the promised messiah who would fulfill prophecies, especially those of in Amos 9:13-14 and Genesis 49:10-11 and the best known one in instance Mark 2:21-22, keeping with the Messianic wedding festivals mentioned in Isaiah 62:4-5. The problem is there is no other contemporary primary or secondary sources that mention any of these spectacular events. As any research historian would know, you cannot use one source to prove the validity, credibility, veracity or historicity of the text itself. Proof comes with outside sources that endorse, compliment, and justify it. Other occurrences in the mythology of miracles pepper Egyptian, Armenian, Akkadian theologies. All had words identical or strongly similar to Christos, but it must be remembered that the word christos was not a personal name of Jesus as numerous evangelical fundamentalists argue but a title, and it is the Greek translation of the Hebrew word mashiach (“Messiah, anointed one”). Like its Hebrew counterpart, this Greek term could apply to any number of people. It occurs in the Hebrew Scriptures more than 60 times, designating priests, prophets, and kings, as well as the anticipated Messiah. It even describes the pagan ruler Cyrus of Persia (Isaiah 45:1, LXX) and with more than 37 different crucified saviours. What is of importance is to know that these stories of miracles were wide-spread in time and place, and believed by a variety of communities and tribes (cf. Smith, Morton (1998). Jesus the magician : charlatan or Son of God? with an introduction by Russell Shorto. Berkeley, Calif. : Seastone ; [Emeryville, Calif.] : Distributed in the United States by Publishers Group West, c1998. Originally published in 1978 under the singular title Jesus the Magician. San Francisco, CA USA: Harper & Row). Similar nightmares plagued what today are known as Old Testament prophets, such as Zachariah, the alleged author of a book named after him: “During the night I had a vision–and there before me was a man riding a red horse! He was standing among the myrtle trees in a ravine. Behind him were red, brown and white horses” (1:8: רָאִיתִי הַלַּיְלָה וְהִנֵּה־אִישׁ רֹכֵב עַל־סוּס אָדֹם וְהוּא עֹמֵד בֵּין הַהֲדַסִּים אֲשֶׁר בַּמְּצֻלָה וְאַחֲרָיו סוּסִים אֲדֻמִּים שְׂרֻקִּים וּלְבָנִים׃ ), with the further elaboration of “The first chariot had red horses, the second black,” (6:2: בַּמֶּרְכָּבָה הָרִאשֹׁנָה סוּסִים אֲדֻמִּים וּבַמֶּרְכָּבָה הַשֵּׁנִית סוּסִים שְׁחֹרִים׃). (cp. Matthew 10:21, 36, and Luke 12:53, and Jeremiah 9:4; it is taken from Micah 7:6: For a son dishonors his father, a daughter rises up against her mother, a daughter-in-law against her mother-in-law–a man’s enemies are the members of his own household: כִּי־בֵן מְנַבֵּל אָב בַּת קָמָה בְאִמָּהּ כַּלָּה בַּחֲמֹתָהּ אֹיְבֵי אִישׁ אַנְשֵׁי בֵיתֹו׃). In this example we have a selfish, self-centered Jesus who argues that conversion will come with a sword (a weapon) and it will be forced on everyone or the person will be killed by holy warriors (identical to the jihadists of Islam). 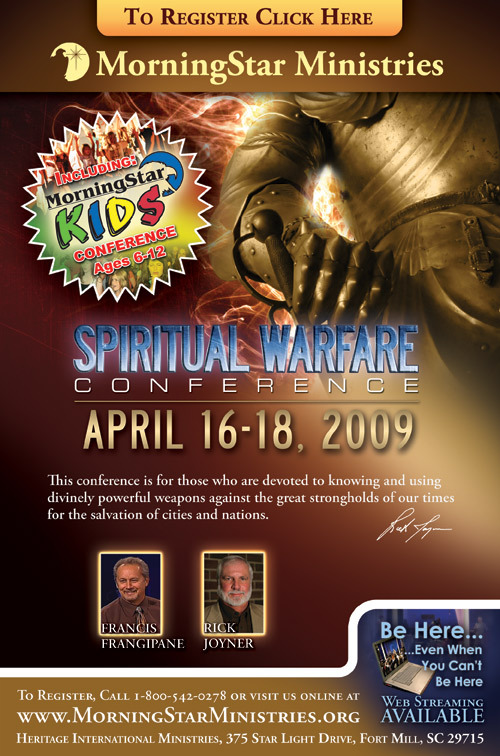 To this end the NAR Christian terrorists in India and Asia have sent out their “prayer warriors” to attack and kill Hindus and other non-confessing evangelical Christians. 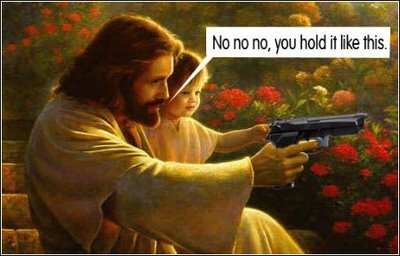 The second Jesus is an extremely violent sociopath. He is a man of uncontrolled anger and assumes it is his responsibility to punish those whom he sees as committing infractions against his concept or knowledge of Jewish law. The most graphic example of this Jesus, who like the great warrior, is not a man of peace but of brutality. Gospel of John 2:15 paints a most ugly incident in the life of this Jesus: Jesus made a whip from some ropes and chased them all out of the Temple. He drove out the sheep and cattle, scattered the money changers’ coins over the floor, and turned over their tables (NLT, the Greek is: καὶ ποιήσας φραγέλλιον ἐκ σχοινίων πάντας ἐξέβαλεν ἐκ τοῦ ἱεροῦ τά τε πρόβατα καὶ τοὺς βόας, καὶ τῶν κολλυβιστῶν ἐξέχεεν τὰ κέρματα καὶ τὰς τραπέζας ἀνέτρεψεν; cp. Matthew 21:12, Mark 11:15-19, John 2:14 for precedent and verse 16 for subsequent denunciation of those who were doing business in the Temple as they had for generations, as the business was conducted in the court-yard–not within the confines of the Holy of Holies). 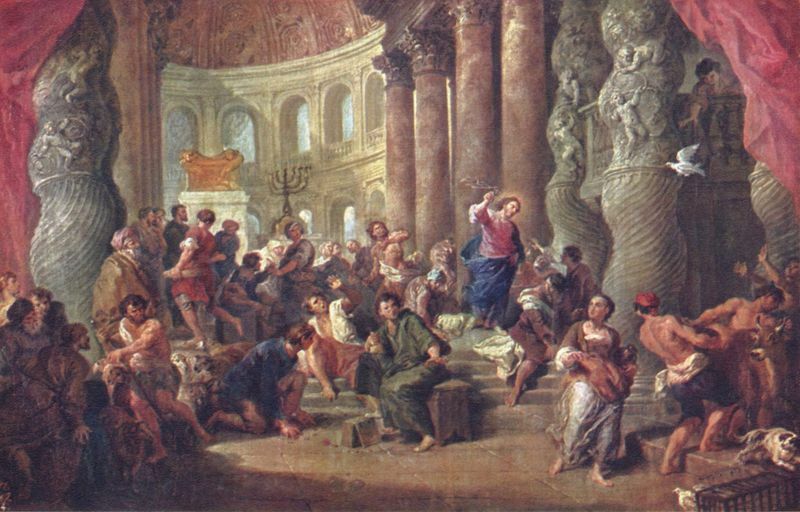 The money changers had long been associated with the Temple as the Jewish law prohibited any money other than Jewish or Tyrian money to be used to buy, sell or use in a religious ceremony within the Temple itself. Jesus’ act was an open defiance of the Temple’s authority and the law of the land, making Jesus the criminal, not the vendors in the court-yard. The words “all men” is a far later addition, introduced by apologists who wanted to portray Jesus as being omniscient (all-knowing) and omnipotent (all-powerful) so that he could look into the hearts of “all men” (Brown, Raymond E., Joseph A. Fitzmyer, Roland E. Murphy (editors); with a foreword by Carlo Maria Cardinal Martini. (1990). The New Jerome Biblical Commentary. Englewood Cliffs, NJ USA: Prentice-Hall, p. 955). The original scroll fragments do not have this addition which was incorporated at a far later date in an effort to make Jesus, the man, appear as being a god. There is a significant problem with the Gospel of John. It was not written before 95-110 CE–no less than two to three generations after the Jesus of the New Testament allegedly died. The Temple itself, that John’s gospel defends, was already destroyed. There is only one conclusion: the writer(s) of the Gospel of John were writing about a new spiritual temple: a faith that was being built by preachers of a god no one had personal contact with. The Dead Sea scrolls, record the existence of the community itself as a temple, and the concept was evidently one that had been circulating, but not delegated or relegated to a single saviour–as there were the christianos of Alexandria, Egypt and in Rome, while the chrestianos were still basically found in the Middle East, especially Jerusalem. Jesus’ claim that the money changers and merchants of doves had turned the Temple into a “den of thieves” is not original with the synoptic gospels of the Gospel of John. It comes from Jeremiah 7:11: “Has this house, which is called by My name, become a den of robbers in your sight? Behold, I, even I, have seen it,” declares the LORD (NAS; the Hebrew is: הַמְעָרַת פָּרִצִים הָיָה הַבַּיִת הַזֶּה אֲשֶׁר־נִקְרָא־שְׁמִי עָלָיו בְּעֵינֵיכֶם גַּם אָנֹכִי הִנֵּה רָאִיתִי נְאֻם־יְהוָה׃ ס). Isaiah 56:7 rejects this prohibition the aggressive Jesus pronounced, and the Temple is to be a place of sacrifice and worship: וַהֲבִיאֹותִים אֶל־הַר קָדְשִׁי וְשִׂמַּחְתִּים בְּבֵית תְּפִלָּתִי עֹולֹתֵיהֶם וְזִבְחֵיהֶם לְרָצֹון עַל־מִזְבְּחִי כִּי בֵיתִי בֵּית־תְּפִלָּה יִקָּרֵא לְכָל־הָעַמִּים׃ (cp. Exodus 28:38 that follows the ancient Egyptian theology before the invention of Judaism: It will be on Aaron’s forehead, and he will bear the guilt involved in the sacred gifts the Israelites consecrate, whatever their gifts may be. It will be on Aaron’s forehead continually so that they will be acceptable to the LORD [NIV]: וְהָיָה עַל־מֵצַח אַהֲרֹן וְנָשָׂא אַהֲרֹן אֶת־עֲוֹן הַקֳּדָשִׁים אֲשֶׁר יַקְדִּישׁוּ בְּנֵי יִשְׂרָאֵל לְכָל־מַתְּנֹת קָדְשֵׁיהֶם וְהָיָה עַל־מִצְחֹו תָּמִיד לְרָצֹון לָהֶם לִפְנֵי יְהוָה׃). What was on Aaron’s forehead (and subsequent chief priests) was a plate of gold, with the inscription on it, holiness to the Lord, and so was very visible and legible. Any transgression or sin that might be committed by anyone entering the Temple with a gift, or exchanging money, selling cattle and doves, was automatically forgiven when the High Priest looked upon the transaction and accepted the animal(s) for sacrifice. Furthermore, the Babylonian Talmud (Rosh Hash. 31a) permitted animals to be in the Gentile Court both for purchase and sale. 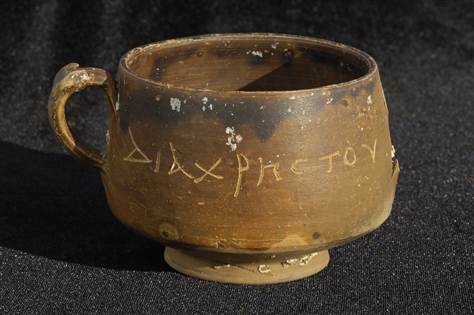 This inscription, itself, proves the violent nature of one of the individuals known as Jesus in the New Testament (cf. Carson, D.A. (1991). The Gospel according to John. Leicester, England : Inter-Varsity Press ; Grand Rapids, MI, USA : W.B. Eerdmans). While it is written that Jesus visited the Temple when he was twelve years of age, there is no indication that he knew the laws, only that he talked (asked questions and gave answers as any student would be required in a class) with the learned teachers in the Temple (Luke 2:46: καὶ ἐγένετο μετὰ ἡμέρας τρεῖς εὗρον αὐτὸν ἐν τῷ ἱερῷ καθεζόμενον ἐν μέσῳ τῶν διδασκάλων καὶ ἀκούοντα αὐτῶν καὶ ἐπερωτῶντα αὐτούς; this tale appears only in Luke, but does match various accounts of young gods responding to teacher-gods and follows the Socratic method of education in ancient Greece; there is no Old Testament equivalent or correlation). The Isaiah passages come from a section that instructs that all who obey god’s (this became El) will, whether Jewish or not, are to be allowed into the Temple so that they can pray and speak with God. The loud market-like atmosphere of money changers and livestock was common as the Temple was never a place of quiet prayer, to argue otherwise reflects ignorance of what ancient worship, involving the sacrificial slaughter of animals, was like, and how different it was (and was expected to be) from modern ideas about contemplative worship. While Jews would have used money changers, they would specifically be needed by non-Jews changing foreign coins, and there was a place specifically reserved for it: the Court of the Gentiles. Compare this with the Temple system, offerings, and priestly prerogatives of the gods of ancient Egypt (Wilkinson, Richard H. (2003). The Complete Gods and Goddesses of Ancient Egypt. London: UK: Thames & Hudson, pp. 42–44). If Jesus had really protested against the sale of doves, it would prove that Jesus was an elitist and, like members of the Tea Party in the USA, against the poor, laborers, and widows. Numerous records show that dove sellers were selling doves that were sacrificed by the poor who could not afford grander sacrifices and specifically by women. Even Jesus’ mother, on entering the Temple bought a dove, for people from distant rural communities were traditionally poor. There are numerous problems with the Cleansing of the Temple story. The synoptic gospels put it at the beginning of their accounts. The Gospel of John puts it at the end. This discrepancy has led many recognized and highly educated, reliable scholars, such as Paula Fredriksen, whose work is focused on a historical Jesus, to argue on that the incident never happened (Fredriksen, Paula (2000). From Jesus to Christ : the origins of the New Testament images of Jesus. New Haven, CT: Yale University Press, Introduction). The third major problem with the New Testament Jesus is over the nature of the individual. According to the New Testament, Jesus was a common drunkard and as a glutton as defined by “the people” (those who knew him): “The Son of Man came eating and drinking, and they say, ‘Behold, a gluttonous man and a drunkard, a friend of tax collectors and sinners!’ Yet wisdom is vindicated by her deeds” (NAS in Matthew 11:19; cp. ἦλθεν ὁ υἱὸς τοῦ ἀνθρώπου ἐσθίων καὶ πίνων, καὶ λέγουσιν ἰδοὺ ἄνθρωπος φάγος καὶ οἰνοπότης, τελωνῶν φίλος καὶ ἁμαρτωλῶν. καὶ ἐδικαιώθη ἡ σοφία ἀπὸ τῶν ἔργων αὐτῆς; it is initiated in Luke 15:2, but the focus is on association with tax collectors and sinners, and has no Old Testament reference; the closest references comes from the theology of the god Bacchus who was universally loved outside of the Jewish world as Bacchus constantly was changing water into wine to celebrate with all people), and (Luke 7:34: ἐλήλυθεν ὁ υἱὸς τοῦ ἀνθρώπου ἐσθίων καὶ πίνων καὶ λέγετε· ἰδοὺ ἄνθρωπος φάγος καὶ οἰνοπότης, φίλος τελωνῶν καὶ ἁμαρτωλῶν; the preceding verse refers to John the Baptist who was staid and ossified beyond even popular acceptance, never drinking wine or eating much: a true ascetic). The use of wine in worship services has existed since theologies were written and worship services conducted. The act of comparing a drunkard with an association with “sinners” (tax collectors and prostitutes) is far older than the gospels: going back to the world of the ancient Etruscans, where such associations were expected by people of god(s). Dionysius and Osiris were both considered to be gods who were at times drunkards, and both were killed only to be resurrected on the third day of their death. The account of their consorting and visiting with “low life” is well documented, and the original texts in ancient Greek and Egyptian follow the gospel accounts (Burkert, Walter (1987). Ancient mystery cults. Cambridge, MA, USA: Harvard University Press), with Osiris begging that he not be sacrificed for an unworthy people, but in the end proclaims “It is not my will, but it is your will that must be done” and then accepts his fate to be a saviour god (Yves Bonnefoy (1992), compiler. Greek and Egyptian mythologies ; translated under the direction of Wendy Doniger by Gerald Honigsblum … [et al.] Chicago, IL, USA: University of Chicago Press, 1992, read: Chapter 175 of the Book of the Dead, Phillipe Derchain, “Egyptian Cosmogony”; ref. C. [Karl] Kerényi (c1976). Dionysos; archetypal image of the indestructible life. Translated from the German by Ralph Manheim. [Princeton, N.J.] Princeton University Press, pp. 247-248f; and Kerényi, Carl [sic], Trindade Serra, Ordep (2002). Dioniso: imagem arquetí da vida indestrutivel. São Paulo, Brasil: Odysseus: and Jung, C[arl] G, Kerényi, Karl (1941). Einführung in das Wesen der Mythologie: Gottkindmythos, eleusinische Mysterien. Amsterdam : Pantheon Akademische Verlagsanstalt). The issue of gluttony in the gospels was inserted to repeal the growing interest that inhabitants of Jerusalem had in the goddess of gluttony: Adêphagia (Αδηφαγια) who was also the goddess of a bountiful harvest (Aelian, Historical Miscellany 1. 27, and Athenaeus, Historicus, 416b). The New Testament reference is a rephrasing of Proverbs 23:20-21, which was written to counter the practice common in Babylon and other more advanced civilizations (cf. Shipley, Orby (1875). A Theory About Sin in Relation to Some Facts about Life. London, UK: Macmillan, pp. 268-278). Deuteronomy 21:20 rejected gluttony as a sign of a son’s disobedience to his parents, this coming from the overindulgence many youths experienced in Egypt where worship of Bast included overindulgence in food and drink, while in the Philistine city of Ekron, Beelzebub (Arabic: بعل الذباب‎, Ba‘al Azabab; Hebrew: בעל זבוב‎, Baʿal Zəbûb, literally “Lord of the Flies”)was worshipped with excessive eating and merrymaking. To accuse any Jew of gluttony was tantamount to accusing the Jew of idolatry and treason. Another issue concerns the gender and matrimonial status of Jesus. In ancient Israel all men, unless dedicated to celibacy as were the Essenes (cf. Philo, Hypothetica 11.14-17, and Josephus, Jewish War, 2.8.2, and Josephus, Antiquities 18.1.5), although many broke their vows and married, had children, then returned to a life of religious contemplation, were required to marry. The ancient Hebrews believed this injunction was required since the days of Eden (Genesis 3:16) even though the Book of Genesis would be the last book formally written for the Torah. Once a man married he was called Ba’al, which meant “lord”, “master of the house”, “leader of the family circle”, but never “master” (which would have been “Adon”); cp. 2 Kings 5:13, Judges 18:19, and 2 Kings 2:12. The fact that some men remained single was an anomaly in ancient Israel (Preuss, Horst Dietrich (1995-1996; 2 vols.). Old Testament Theology, Louisville, KY, USA: Westminster John Knox Press, Vol. 2, p. 104f). As Preuss notes: “There was no religious rite that was performed with the concluding of the marriage, although there was a feast at the conclusion of the festivities (Gen 29:27, Judg 14:10)”, and those festivities included drinking wine and eating heavily. What is unique is that there is no record that the Jesus of the New Testament ever married, nor is there even a hint that he had a girlfriend although he did have many female followers (Luke 8:2-3) and learned from him (Luke 10:38-42). 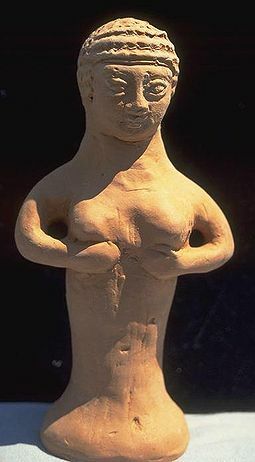 religious ritual to ensure bountiful crops and good rains in the intercession of “dog-priests” (quadesh for males; quadeshah for females) or temple prostitutes performing a sexual ritual for the Canaanite goddess Asherah (Venus) a common practice in all Near Eastern civilizations (Herodotus, The Histories 1.199). It did not end until it was stopped by the pagan Emperor Constantine who closed or destroyed the goddess(es) temples and forced Christianity onto the people in 325 CE (Eusebius, Vita Constantine, 3.55 and 3.58). Many rebelled against the proclamation when Christian bishops began to burn ancient pagan manuscripts celebrating the fertility festivals and rites, while at the same time non-confessing bishops and priests continued to marry homosexuals until the fifth century. The practice and the religion in honor of the goddess has never ceased, and continues to this day. While what would be deemed as basic indicators that someone was/is homosexual by their attention to members of the same gender and avoiding marriage and procreation, especially in the rants of Iran’s mullahs and ayatollahs, Bradlee Dean Smith spiritual seer for Michele and Marcus Bachmann and a host of Minnesota politicians seeking the evangelical vote, there is no definitive statement anywhere that Jesus was gay. There is, however, another possibility: that Jesus was a woman. Jesus did not ascend from the House of David (the word David actually means “House” or “Generation/Paternity”: Malkhut Beit David (מלכות בית דוד) — “Royal House of David”). The Davidic line disappeared with the death of Solomon, with the ten northern tribes of the Kingdom of Israel rejecting the Davidic line, refusing to accept Rehoboam son of Solomon, and instead chosing as king Jeroboam and formed the northern Kingdom of Israel. This kingdom was conquered by the Assyrians, and its people banished, becoming known as the Ten Lost Tribes. τοῦτ’ ἐστιν Θεέ μου θεέ μου, ἱνατί με ἐγκατέλιπες). If Jesus truly died, not having had a child, the entire Davidian lineage would have died with him, as well as the promise of a warrior messiah. The only solution would be to follow the fiction of The DaVinci Code by Dan Brown, and claim that Jesus married Miriam of Magdala, whom we know as Mary of Magdalene (a city), and she was pregnant at the time of his crucifixion–or that Jesus was a woman. Simon Peter said to them, “Let Mary leave us, for women are not worthy of Life.” Jesus said, “I myself shall lead her in order to make her male, so that she too may become a living spirit resembling you males. For every woman who will make herself male will enter the Kingdom of Heaven.” (section 114). Rather than justify this as a statement recognizing marriage, it is far more realistic to consider it either to be a statement extolling the superiority of the male gender and identifying it with a homosexual Jesus who only wanted or had males around him (which belies the numerous women who followed him, were his students, and later even became bishops in the early Christian community before Constantine established his Catholic [universal] Church. In the late second century CE Gospel of Peter we find only that Mary Magdalene appears only on Easter morning, when she and her women friends come to the tomb of Jesus to weep for him. She is described as “a female disciple [Greek mathetria ] of the Lord” (section 50,). At the tomb, Mary and her friends see an angel who announces the resurrection of Jesus, and they run away frightened (section 56-57). There is no mention of marriage. In the same manner, in the late second century CE Dialogue of the Saviour (the name of the saviour is never given), all that is included about Mary Magdalene is that Mary asked the Saviour various questions, and made replies, and that “This word she spoke as a woman who knew the All” (Section 139) meaning that she had special spiritual insights. The Pistis Sophia presents most of our information on Mary. It is a Gnostic gospel written sometime during the third century CE, and is considered by gnostics to be a revelation of Christ in which Mary plays a prominent role. Mary’s prominence can be seen in her constant questioning Jesus. Mary asks the majority of the questions about all measure of esoteric matters. She is praised in The Pistis Sophia as one “whose heart is more directed to the Kingdom of Heaven than all [of her] brothers” (section 17). Jesus says that she is “blessed beyond all women upon the earth, because [she shall be] the pleroma of all Pleromas and the completion of all completions” (section 19). In other words, Mary will have the fullness of knowledge and therefore spiritual life within her. So impressed is Jesus with Mary’s spiritual excellence that he promises not to conceal anything from her, but to reveal everything to her “with certainty and openly” (section 25). She is the blessed one who will “inherit the whole Kingdom of the Light” (section 61). The Pistis Sophia details the growing interest in Mary among Gnostic Christians, who valued knowledge (gnosis in Greek) above all. Mary has come to be regarded as a source of hidden revelation because of her intimate relationship with Jesus; but nothing in this gospel suggests a marriage between them, however. There is one exception. It is unique. The Gospel of Mary, written in the second century, goes even further than The Pistis Sophia in its portrayal of Mary as a source of secret revelation. This secret revelation, it is confirmed is because of her close relationship to the Saviour. For example, at one point Peter asks, “Sister, We know that the Savior loved you more than the rest of women. Tell us the words of the Savior which you remember–which you know but we do not nor have we heard them” (section 10). Given the earnestness of Peter’s plea, Mary reveals what the Lord made known to her in a vision, the content of which seems like mumbo-jumbo to anyone other than a second-century Gnostic. What we read is that several of the disciples were unimpressed by Mary’s purported insights into heavenly things because of her gender. Andrew responded to her revelation by saying “I at least do not believe that the Savior said this. 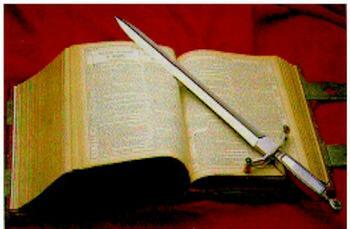 For certainly these teachings are strange ideas” (section 17). This prompted Peter to ask Mary, “Did he really speak privately with a woman and not openly to us? Are we to turn about and all listen to her? Did he prefer her to us?” Jealousy filters in quickly, but Mary has a defender: Levi who speaks up for her, reproaching the man many acclaimed to be the Rock on which Jesus founded his church/faith, answering: “Peter, you have always been hot-tempered. Now I see you contending against the woman like the adversaries. But if the Savior made her worthy, who are you indeed to reject her? Surely the Savior knows her very well. That is why he loved her more than us” (section 18). The Gospel of Mary is complemented by The Gospel of Mary Magdalene). It was written at an undetermined date in the late fourth or early fifth century and is gnostic in origin and tone. It is a part of the Nag Hammadi collection of ancient Gnostic writings, along with several others (especially the important Apocryphon of John, and the Sophia of Jesus Christ) not yet translated or interpreted. Unfortunately the surviving manuscript of the Gospel of Mary is missing pages 1 to 6 and pages 11 to 14 — pages that included sections of the text up to chapter 4, and portions of chapter 5 to 8. As with the previously mentioned extra-canonical gospels, in The Gospel of Mary Magdalene the Saviour is not named. Chapter 4:26: The Savior said There is no sin, but it is you who make sin when you do the things that are like the nature of adultery, which is called sin. 8 ) But if the Savior made her worthy, who are you indeed to reject her? Surely the Savior knows her very well. The main problem with this is that the Saviour is not named. It is true that Mary is the recipient of his secret revelations and private speeches. The Savior, furthermore, prefers Mary to the other disciples, loving her more than them. Mary’s relationship with the Saviour is more esoteric as Jesus is not named, but the Saviour has introduced a new dimension into the evolving Christology of the emerging church. The Gospel of Philip, is the last of the extra-biblical gospels to mention Mary Magdalene, and hints at a relationship that other extra-biblical gospels reject or do not mention. Written well into the third-century, The Gospel of Philip is not a gospel in any ordinary sense. It is a collection of theological observations written from a Gnostic point of view. Where The Gospel of Philip differs from the other extra-biblical gospels, is that it mentions Jesus by name. In two passages we read the name of Mary Magdalene but she plays a marginal role in this gospel. The first of these passages reads, “There were three who always walked with the Lord: Mary his mother and her sister and Magdalene, the one who was called his companion” (section 59). In the Greek original “companion” is koinonos. It means “partner” but not a sexual partner (for example, when Paul refers to himself as Philemon’s koinonos in the Philemon 1:17). The second passage in The Gospel of Philip that mentions Mary is the most suggestive: “And the companion of the Savior is Mary Magdalene. But Christ loved her more than all the disciples and used to kiss her often on her mouth (sections 58-59). The rest of the disciples were offended by it and expressed disapproval. They said to him, ‘Why do you love her more than all of us?’ The Savior answered and said to them, ‘Why do I not love you like her?’ When a blind man and one who sees are both together in darkness, they are no different from one another. Then the light comes, then he who sees will see the light, and he who is blind will remain in darkness” (sections 63-63). A kiss is an exchange of trust, faith, and love–it was never intended to be a token for arousal and introduction of sexuality. It is for this reason that the osculum pacis in the Middle Ages in Europe was always sealed with a kiss upon the lips between a lord and a vassal (cf. Ganshof, François Louis (1947). Qu’est-ce que le Féodalité? Neuchátel, France. Éditions de la Baconnière). Judas’ kiss was not a sign of betrayal as the synoptic gospels wrongly present, but rather a testimony to Jesus that he was his friend and trying to rouse the messiah/warrior in him to fight the forces of darkness that had come into the garden to lead him away to his death. The young boy was but a small part of this drama to gain access to the one many had hailed as a messiah/warrior when Jesus rode into Jerusalem. 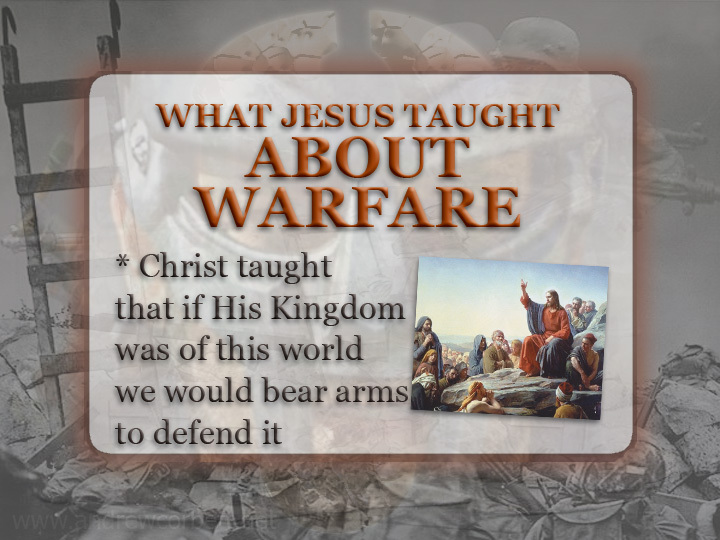 The problem was that Jesus had no interest nor intention of being a warrior/messiah. As he said, he was but a prophet, and the title of “Son of God” is what he was labeled by other people. Even if we suppose that this second passage, which appears in no other document, and which was written two centuries after the biblical gospels, conveys historically accurate information, the passage itself seems to disprove Jesus’ marriage to Mary, as in the passage Jesus belittles those who take offense to his love for Mary. If Jesus had been married to Mary then his special affection for her wouldn’t have been an offense. Jesus would not have to justify his action by explaining that Mary was his wife. Jesus does not do this. The first surviving Greek manuscript to contain the pericope is the Latin/Greek diglot Codex Bezae of the late 4th or early 5th century CE. forgery (cf. Keith, Chris (2008). “Recent and Previous Research on the Pericope Adulterae (John 7.53—8.11)”. Currents in Biblical Research 6 (3): 377–404; and, ‘Pericope adulterae’, in FL Cross (ed., 2005), The Oxford Dictionary of the Christian Church, (New York: Oxford University Press; the passages do not appear in any of the early scrolls before the fourth century. The first surviving Greek manuscript to contain the pericope is the Latin/Greek diglot Codex Bezae of the late 4th or early 5th century), it does show Jesus’ compassion for another woman and Jesus comment “Let whomever is without sin cast the first stone.” Jesus said that everyone was “my brother and sister… my mother” (Mark 3:33-35). There are numerous inconsistencies and inaccuracies in the Jesus story both in the canonical and extra-canonical gospels and other writings. None of the existing material concerning Jesus Christ was written until at least one full generation after Jesus is alleged to have died. Most primary material, such as the Gospel of John do not appear until the second century CE, and others filter in from the second to the ninth century, with many revisions, redactions, glosses, and marginalia changing their meaning, word order, and even the vocabulary used. Many parts of the record can be traced to far older pagan sources. This leaves the question of whether or not Jesus ever existed.